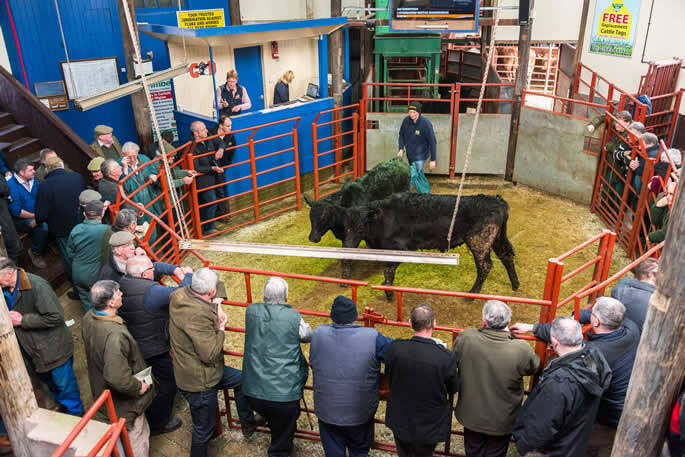 C&D Auction Marts Ltd held their Kirkcambeck Sale of 456 cattle on Tuesday 28th March 2017. 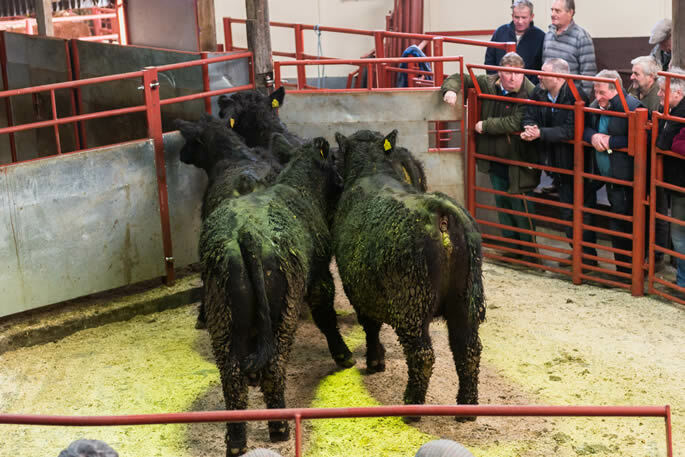 An outstanding show of native bred cattle were forward to full ringside of customers all keen for quality lots with many buyers left short of requirements, and many more could easily have been sold. 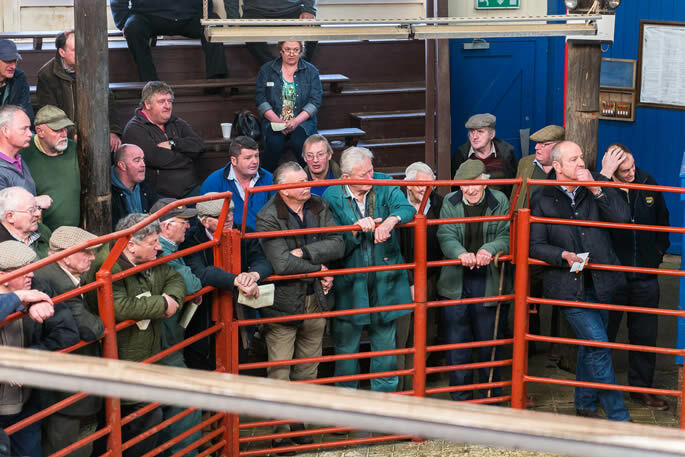 All credit must be given to vendors for presenting their cattle to such high standards and were rewarded with an unbelievable trade, with the averages up £67.42 for 112 more cattle sold. 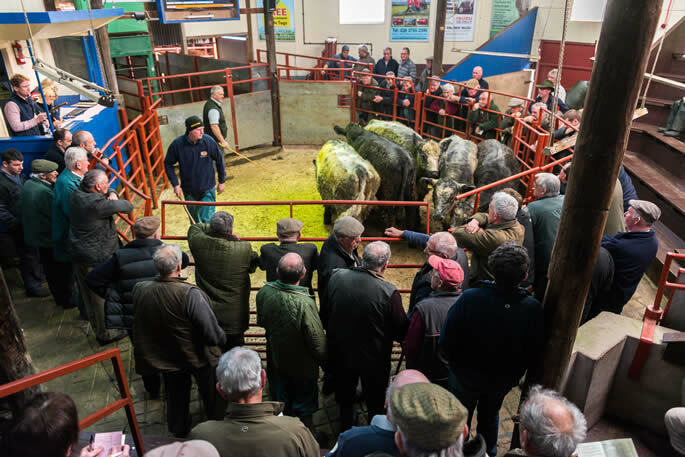 The sale topped at £1,410 for a marvellous Charolais bullock from CJ & BA Thompson, Edenbanks, Cumwhitton, others to £1,150 (x2) and £1,130 (x2) from Messrs R Byers, Woodslee, Canonbie. 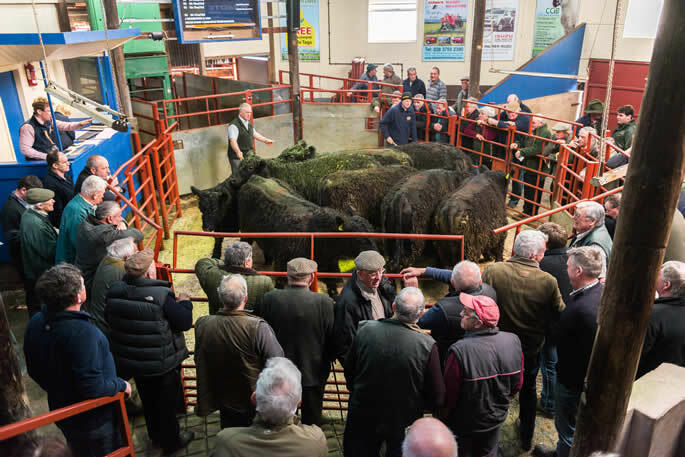 Simmentals bullocks sold to £1,105 and £1,100 from Messrs Sanders, Bavington Hill Head, Capheaton. 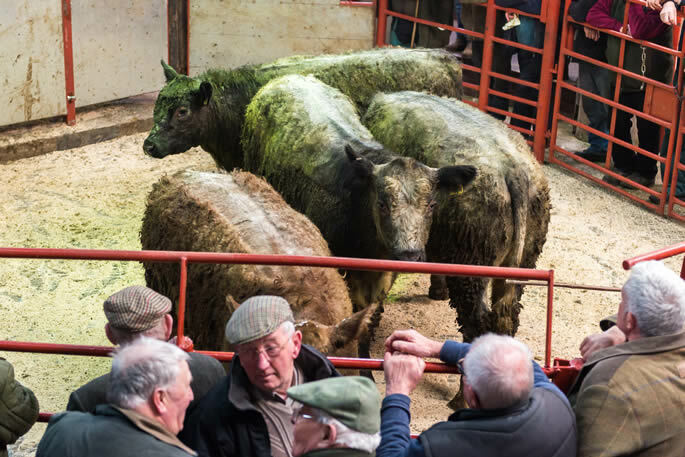 British Blue bullocks to £1,090 (x3) and £1,025 (x2) from Messrs Ferguson, Sandbed, Longtown. 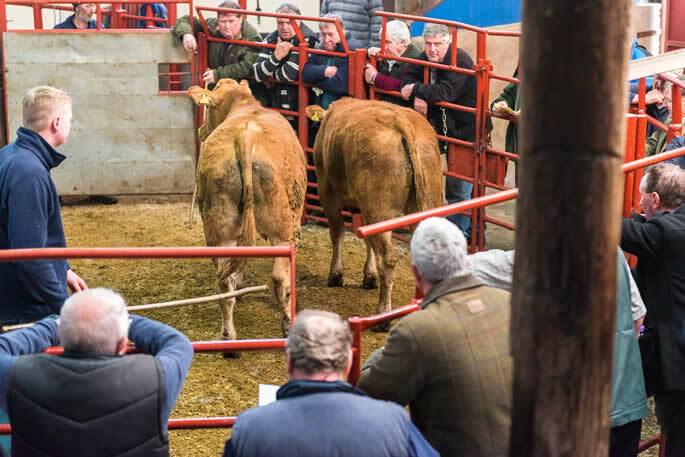 Limousin bullocks to £1,000 from Messrs Elliott, Hallburn Croft who also heifers to £1,110 and £1,070. 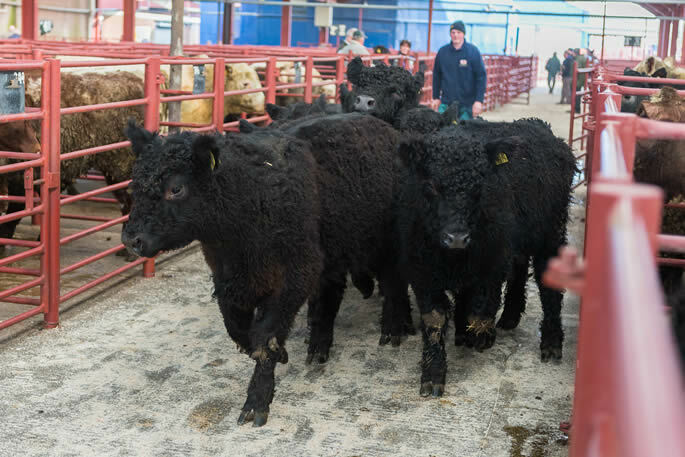 In the native breed section Galloway bullocks sold to £1,135 and £1,095 (x4) from Messrs Robertson, Becks, Langholm. 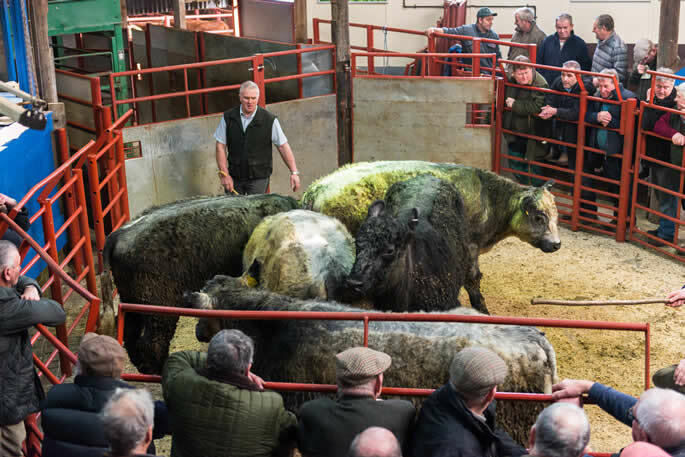 Blue Grey bullocks to £1,100 (x6) and £1,090 (x4) from Messrs Wallace, Farney Shield, Ninebanks. 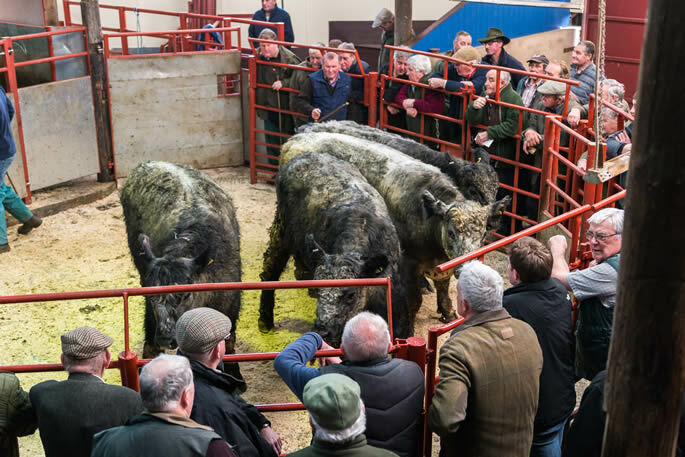 Angus bullocks to £1,080 and £1,000 (x3) from Messrs Moffat, Bodesback, Moffat. 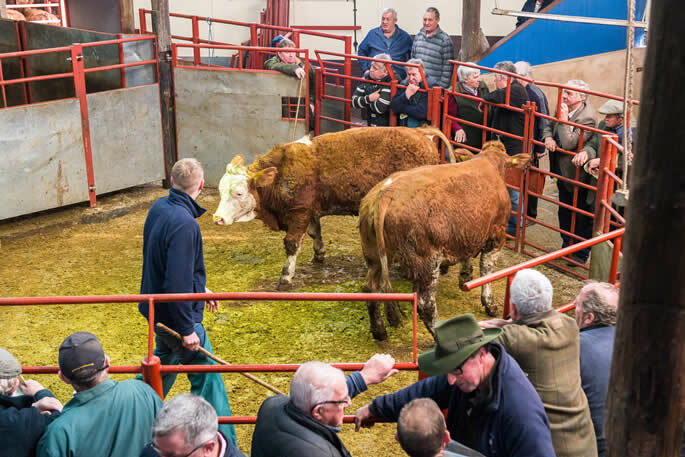 Whitebred Shorthorn bullocks sold to £1,060 (x2) and £1,035 (x5) from Whitbysteads Hill Farms, Askham and Beef Shorthorn bullocks to £1,010 (x2) from Messrs Connell, Minsca, Waterbeck. 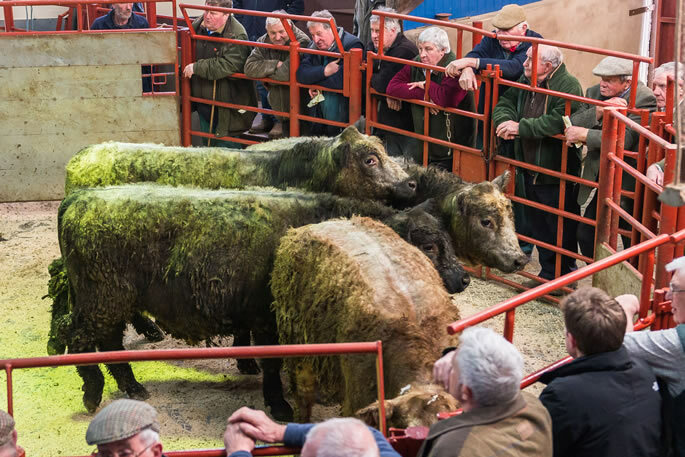 Charolais £1,410 Edenbanks, £1,150 (x2), £1,130 (x2), £1,060 (x2) Woodslee. 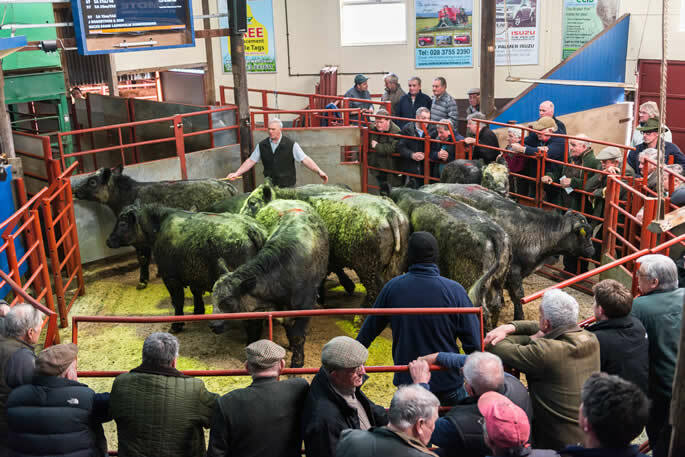 Galloway £1,135, £1,095 (x4) Becks, £1,070 West Acres, £1,050 (x8) Becks, £1,015 (x5) Brockstones, £970 (x7) Becks, £965 Peartree Farm, £920 High Frost Hall, £900 (x3) Barron House. 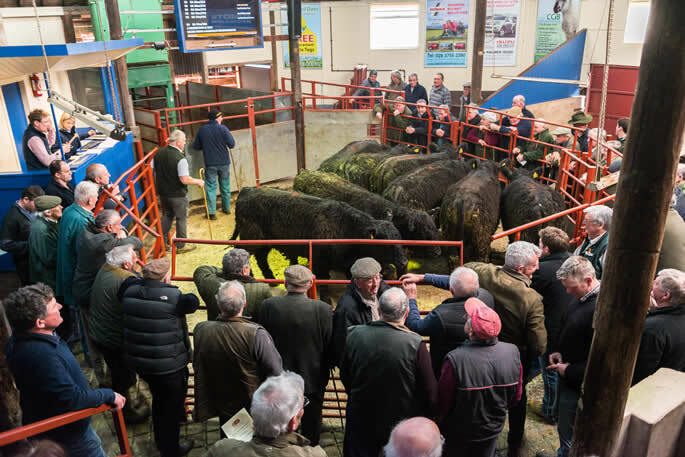 Simmental £1,105, £1,100, £960 (x2) Bavington Hill Head, £905 Potholm, £870 (x2), £860 (x2), £850 (x2), £810 (x2), £800 Bavington Hill Head. Blue Grey £1,100 (x6), £1,090 (x4) Farney Shield, £960 (x2) Barron House, £890 (x3), £785 (x2) Bloch. 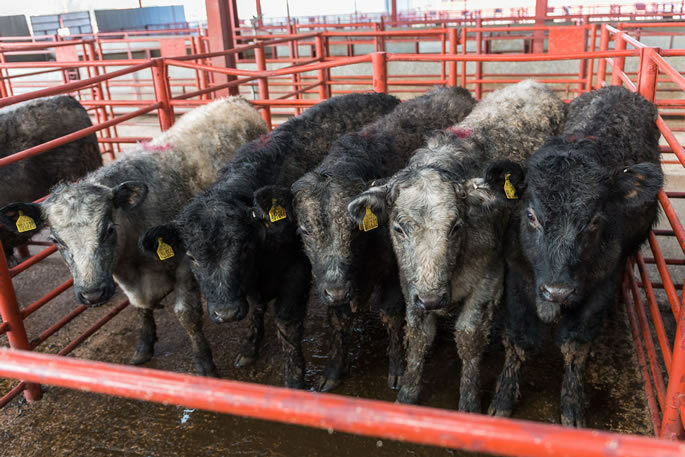 British Blue £1,090 (x3), £1,025 (x2) £970 Sandbed, £1,075, £1,045 (x2), £980 (x2), £970 Westwinds. 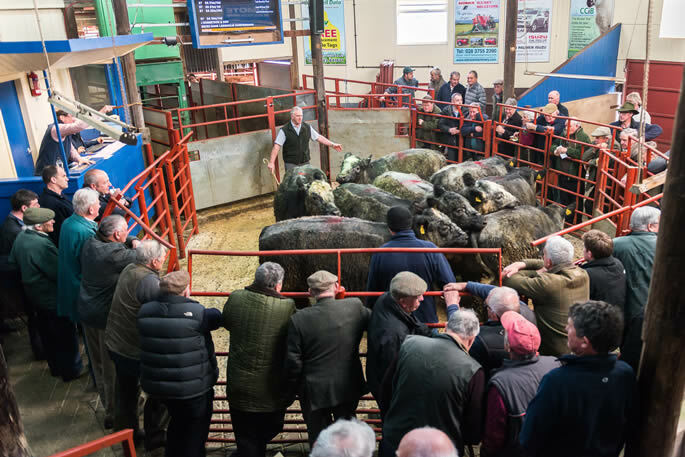 Angus £1,080, £1,000 (x2) Bodesbeck, £990 Smithsteads, £960, £940 (x3) Chapel, £900 (x4) Potholm, £850 (x2) Stonehouse, £840 (x2), £815 (x3) Bodesbeck, £810 Smithsteads. 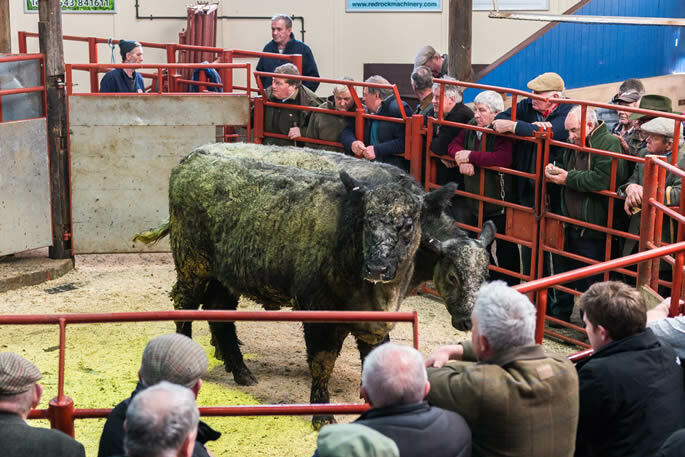 Whitebred Shorthorn £1,060 (x2), £1,035 (x5) Whitbysteads, £990 (x5), £970 (x8) Becks, £960 (x2) Barron House, £890 (x3) Moss Peteral. 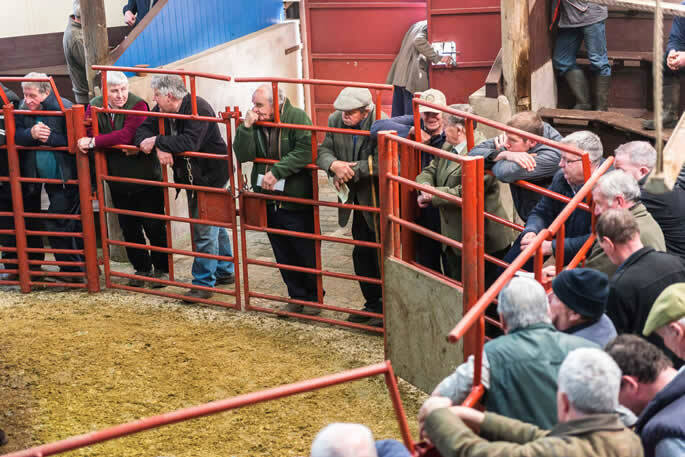 Beef Shorthorn £1,010 (x2), £995 (x4), £970 (x4), £955, £930 (x4) Minsca, £955 Priesthaugh, £890 Rowanburnfot. 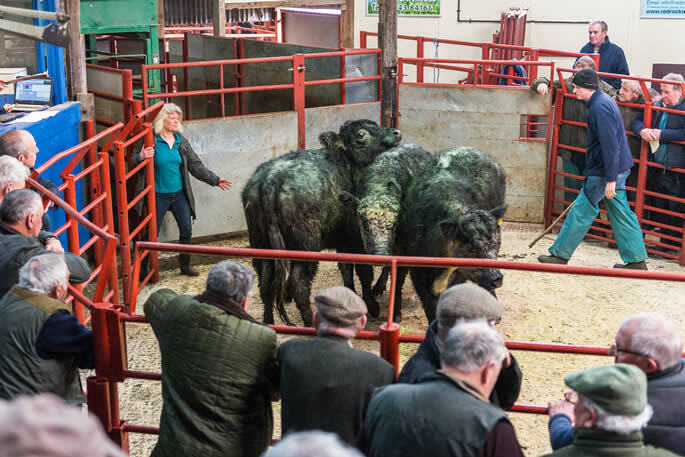 Limousin £1,000 (x2) Hallburn Croft, £970 Branteth, £940 Penchrise, £940, £905 Potholm, £900 Branteth & Winterhope, £885 Potholm, £870 Branteth, £860 Chapel, £855 Potholm, £850 Branteth & Winterhope. Longhorn £960 High Frost Hall. 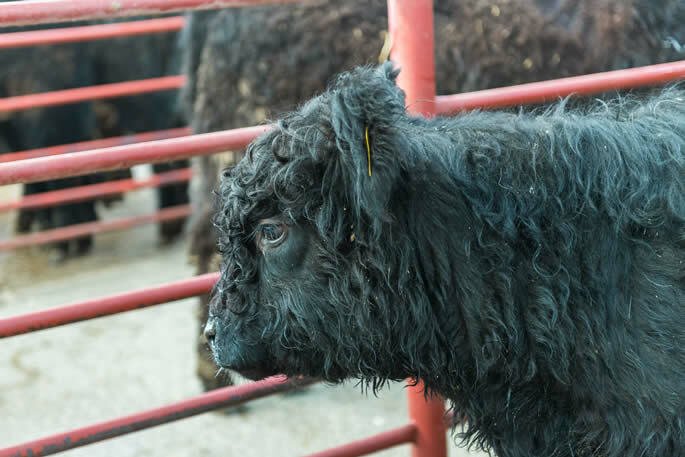 Belted Galloway £840 (x2), £745 Whitstonehill. 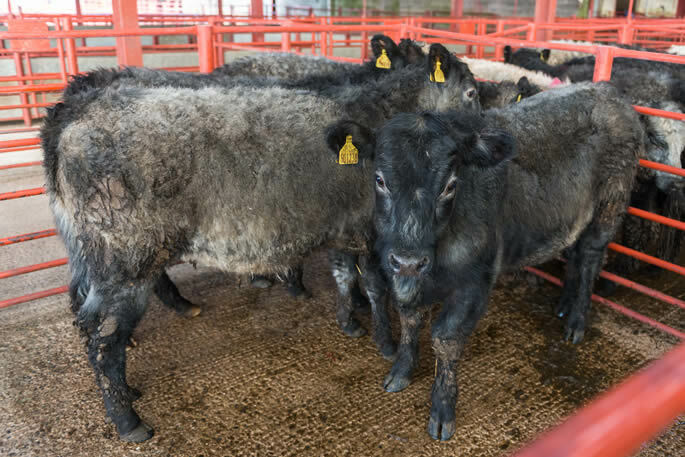 Friesian £730 (x3), £660 (x3) The Stubb. 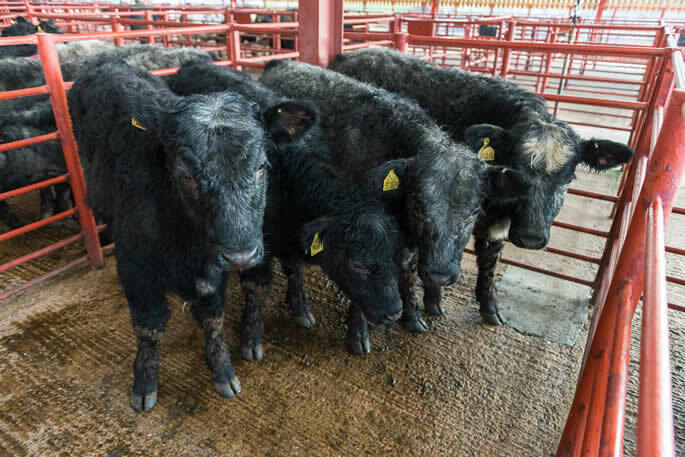 Hereford £680 (x4) North Howes. 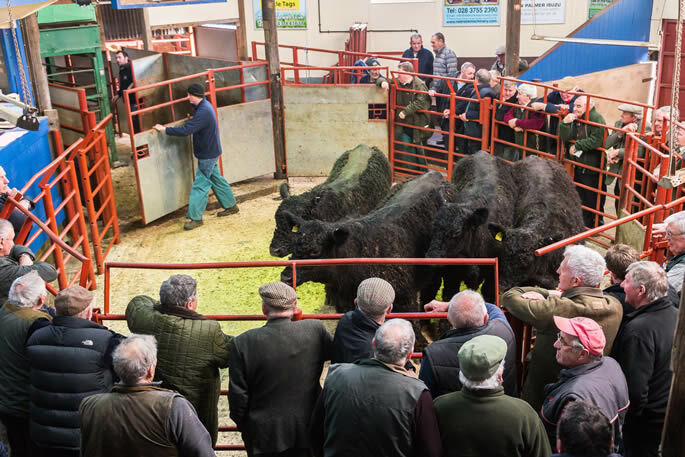 Limousin £1,110, £1,070, £1,050 Hallburn Croft, £990 Potholm, £970 Terrona, £900 Winterhope, £885 Moss Side & Winterhope, £880 (x2) Terrona, £875 (x3) Winterhope, £875 Smallholms. 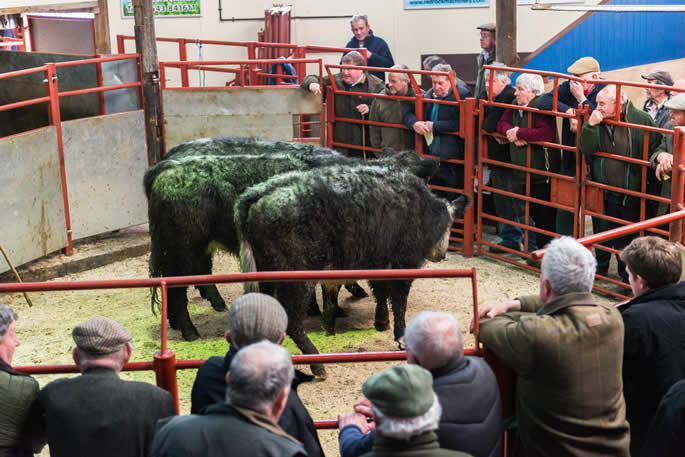 Simmental £910, £870 Bavington Hill Head. Longhorn £860 High Frost Hall. 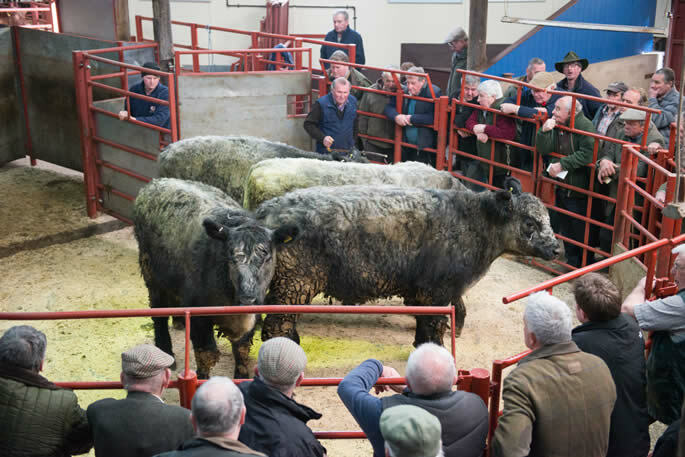 Angus £840 Smallholms, £800 Smithsteads, £760 (x2), £730 (x2) Smallholms.